1965 - 1969: Rally Monte Carlo 1969. Elford And Stone In Their Porsche 911s. Rally Monte Carlo 1969. Elford And Stone In Their Porsche 911s. 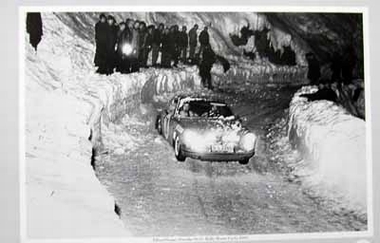 Rally Monte Carlo 1969. Elford und Stone im Porsche 911S. Motorsport Classic. Photograph taken by Alois Rottensteiner. Motorsport Classics Poster, only few available! Do you have a question concerning our product 'Rally Monte Carlo 1969. Elford And Stone In Their Porsche 911s.' ?